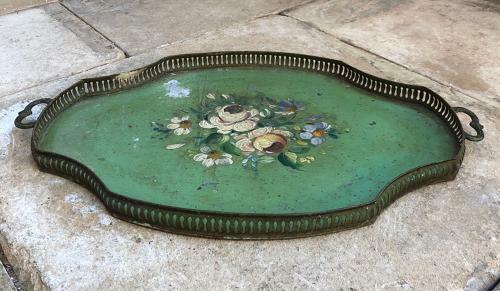 Beautiful untouched Victorian Toleware Tray. Fantastic colour and pretty filigree edging. Shaped iron side handles. Good size to use...and very pretty displayed.